The wildly popular TWiz App just got a whole lot better with the release of GPS TWiz HD. 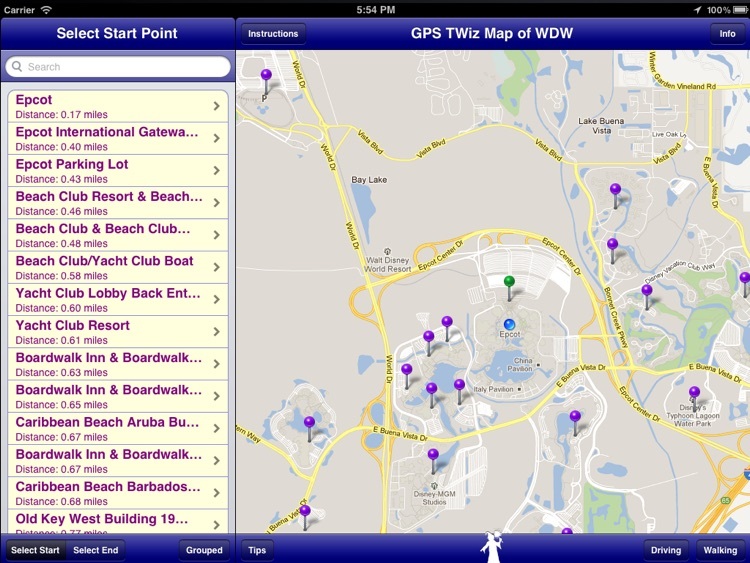 Now you can navigate the Disney transportation system at Walt Disney World using a familiar and intuitive map-based GPS interface. You can view your location, use pinch/zoom gestures to zoom in and out, and select beginning and ending locations for your trip from the map in addition to the list. Are you boggled by maps and prefer to just search for words? On the super duper GPS TWiz HD, you can search for locations using a convenient search bar. For example, type "bo" to find the Boardwalk Inn - it's just that easy. Or you can tap the "Near Me" button to pick a location that is close to your current location. GPS Twiz HD puts the fun in functionality! Simply pick a starting location and then pick the place you want to get to. 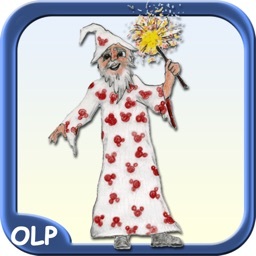 Tap the Mr. Wizard icon and he will promptly make fun suggestions about how to get there using Disney Transportation. Mr. Wizard also estimates how long it will take to get there. 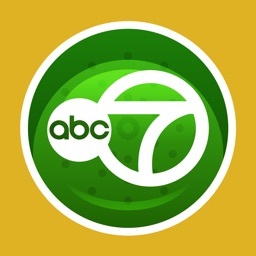 By tapping on the route, you get lots of helpful tips about the transportation system. You can rate the routes thumbs up or thumbs down and you can share your experience of times and tips with other users. You can also tap the driving or walking icon and Mr. Wizard (powered by Google Maps) will map your route for you and give you an estimate of the time to walk or drive that route. Imagine you are on your first trip to the Grand Floridian. You arrive at your hotel, unpack your bags and call your friends who happen to be staying at the Boardwalk Inn. You decide you want to meet for dinner at the Flying Fish café… but you don’t have a car, and you have no idea how to get to the Boardwalk from the Grand Floridian. You whip out your iPad and the GPS Transportation Wizard HD comes to your rescue; promptly suggesting several routes involving boats, buses, or monorails. He even tells you how long it’s likely to take so you won’t be late for dinner. Thank you Mr Wizard! Or, perhaps you are a veteran of Disneyworld and love planning daily itineraries. You plan your trip, making a careful schedule of where to eat and which parks to go to when. You decide that a fun day at the Hollywood Studios would really be nicely topped off by dinner at Chefs de France. But how long is it going to take to get there, and what is the funnest possible route (this is a vacation after all!)? 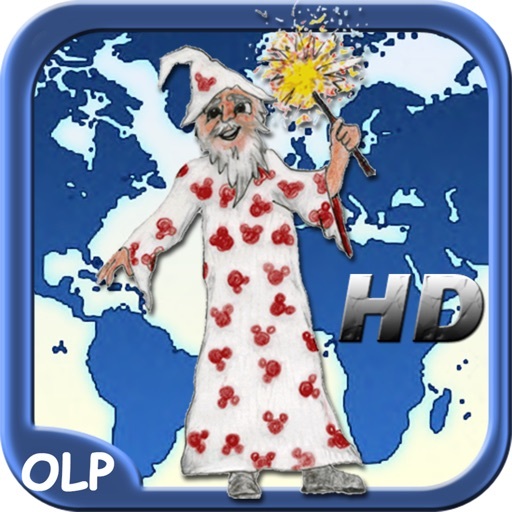 You pop out your iPad and fire up the OLP WDW Transportation Wizard HD who gives you several recommendations. Oh my gawrsh, I didn’t know you could take a boat from the Studios to Epcot! That sounds like fun! But I will have to allow at least 37 minutes for that trip so we better leave by 5PM to make sure we are in time for dinner at 6PM. Thank you Mr Wizard! 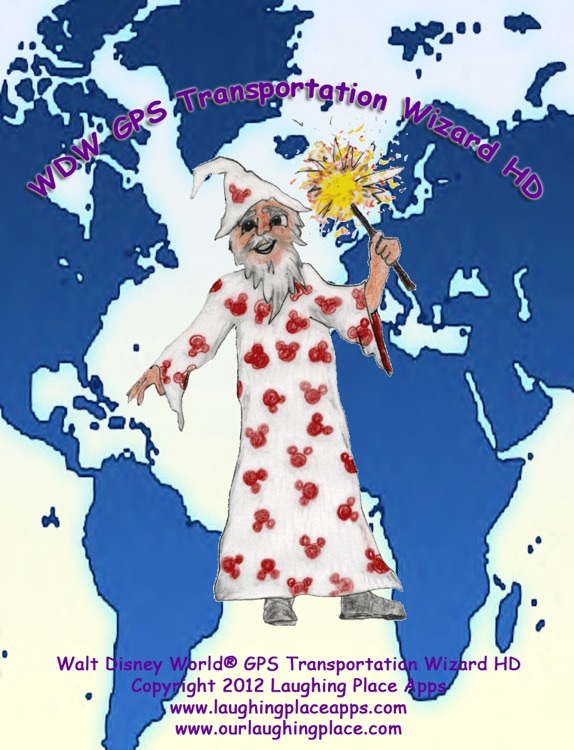 The GPS Transportation Wizard HD puts even more pixie dust magic of trip planning in your pocket with delightful sparkles. The GPS TWiz HD App is based on a program written in 1998 using a proprietary technology. Twiz has been thoroughly tested by thousands of happy users. You can see the original twiz at ourlaughingplace.com where it is still in use today. 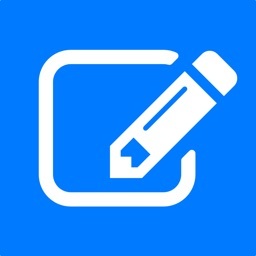 Lucky for you, you can now carry it around on your iPad for ready access.